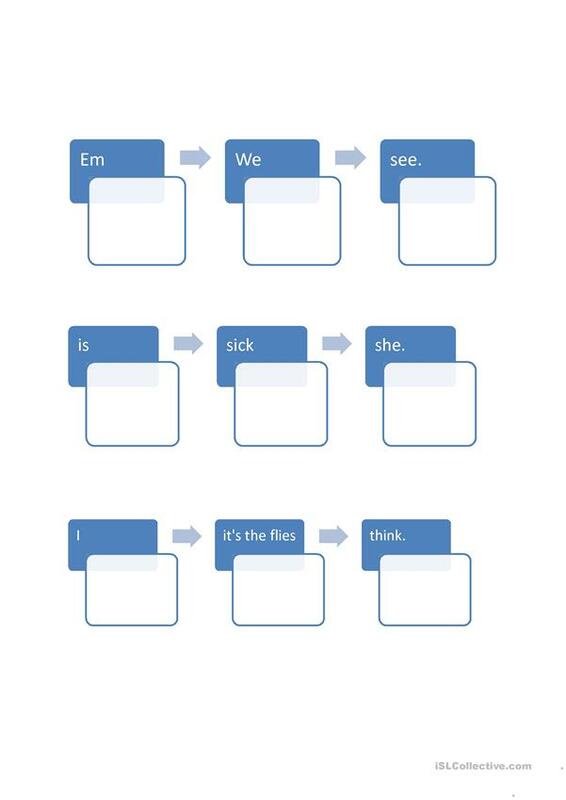 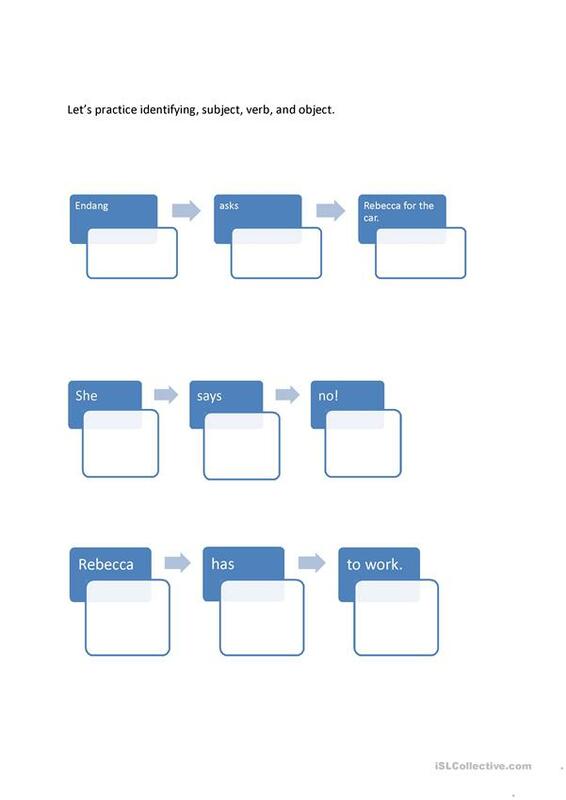 Learners will be able to successfully identify the basic ingriednts of a sentence. 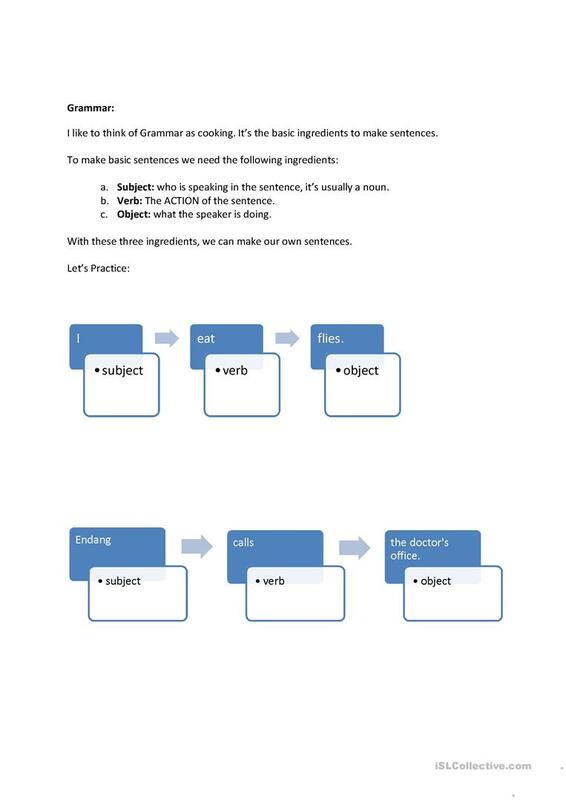 Cooking with grammar as I always say to my adult ESL learners. 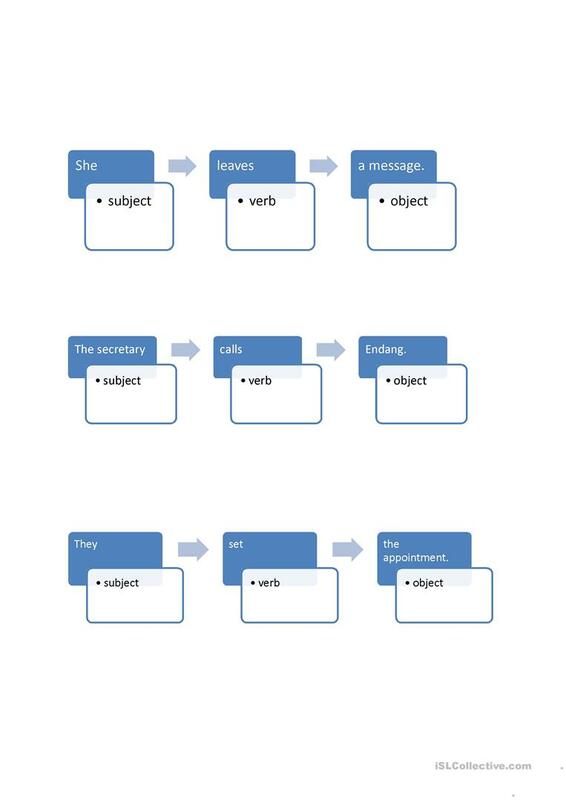 Subject, Verb, Object. I use the name of my learners, but feel free to replace them with names of your own students/learners. This printable, downloadable handout is recommended for adults at Beginner (pre-A1) and Elementary (A1) level. It is a useful material for revising Word classes in English, and can be used for improving your learners' Writing skills. 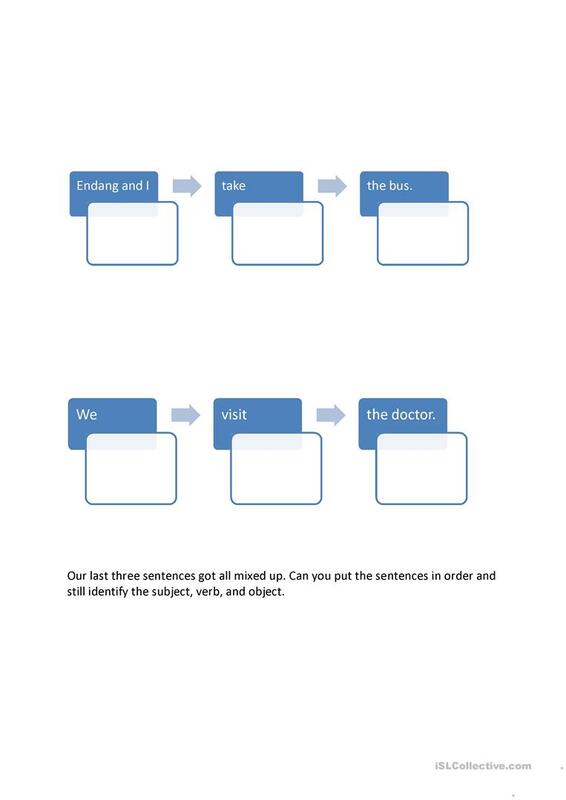 It focuses on the theme of Health, going to the doctor.